The Coach-Pitch Instructional League is designed to prepare kids for Little League and "real" baseball game settings. 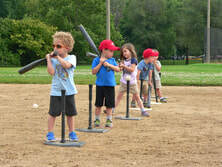 Kids will use gloves and metal bats, as well as our level 5 safety "league balls". 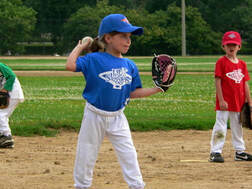 Most kids in a league will be 4.5 years or older, and will have completed a Lil Sluggers Class or will have played in a local tee ball league.